the threat of sickness and recurring infections. When the children first arrive at HHFL, they all suffer physically and mentally from the effects of malnutrition placing great importance on providing adequate medical care. 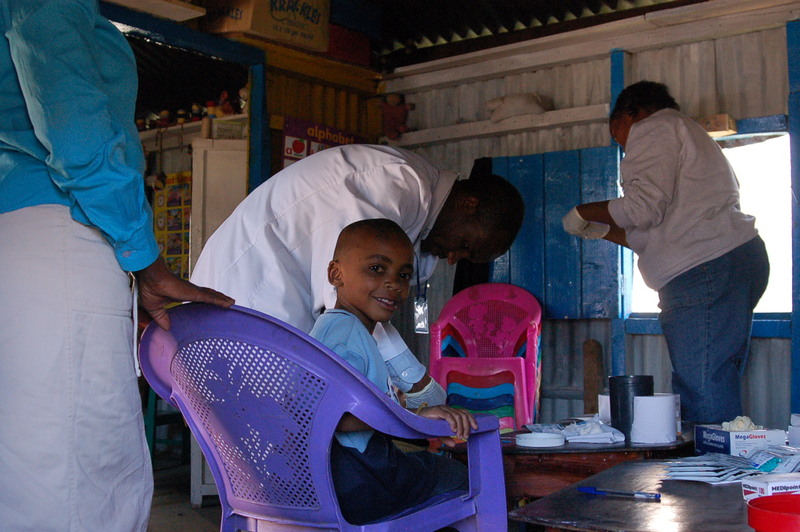 In 2006, we partnered with a private health institution in Nairobi called the Melchizedek Hospital who continues to provides excellent care for the HHFL children at a discounted rate. Every child is tested for HIV when they join HHFL. If tested positively, the children are provided with antiretroviral drugs and are supplemented with proper nutrition. Compulsory HIV testing at enrolment. Compulsory de-worming program (every 3 months). TB screening (x-rays) for suspicious cases. Daily liver cod and multivitamins for the very fragile. Dental care for those in need. Eye care and eyeglasses for those in need. In-house first aid kit managed by Lucy. Payment of all approved hospital and hospitalization charges.